Jumia Black Friday 2017 is back and better. 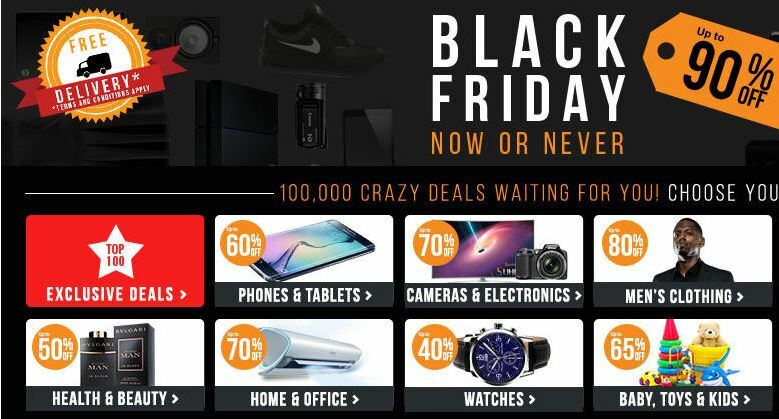 Jumia Nigeria has announced its Black Friday sales event which will hold from November 13 to December 13. If you are yet to start saving for this day, then you need to open a new bank account and start saving for it. Do you know that on Jumia Black Friday you can make a huge amount of cash? Well, if you don’t I will tell you. Most products will be sold half their initial amount, which means you can buy marketable products in bulk and resell them at their original price. 1. make a list of what you will buy in other of a scale of preference. 2. save money for this event. 3. Flash sales deals are the best deals you can get, so pay attention to them. 4. make sure your internet speed is fast and strong. 5. Log on to Jumia site 30 minutes for the event start. 6.choose what you need first, before choosing what you want. stick to this site so you don’t miss any Jumia Black Friday offer.